IMF Managing Director Christine Lagarde presented the World Economic Outlook at the World Economic Forum in Davos, Switzerland on Monday, cautioning the world's largest economies against deepening ongoing trade rows. Argentina's recession will continue throughout 2019, according to International Monetary Fund (IMF) estimates announced on Monday. The Argentine economy will recede 1.7 percent in 2019 and only in 2020 will the economy begin to bounce back from its current growth woes, hitting 2.7 percent, the IMF predicted. 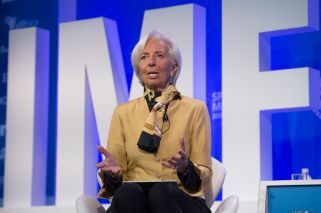 IMF Managing Director Christine Lagarde presented the entity's World Economic Outlook at the annual World Economic Forum in Davos, Switzerland on Monday, where she cautioned the world's largest economies against deepening ongoing trade rows. "After two years of solid expansion, the world economy is growing more slowly than expected, and risks are rising," Lagarde said at a press conference. 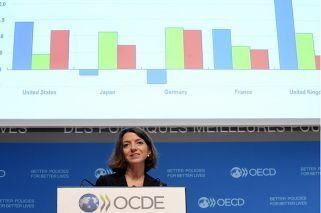 She rejected the idea that a global recession was around the corner but warned that "risk of a sharper decline in global growth has certainly increased." For the IMF, Brazil's economy will grow 2.5 percent in 2019 and 2.2 percent in 2020. It predicated a "gradual recovery" for South America's largest economy, which since January is governed by the far-right pro-market government of Jair Bolsonaro. The IMF cut predictions, however, for Latin America by two percent overall, with regional growth forecast at two percent in 2019 and 2.5 percent in 2020. Key factors in the region's lower expected growth rates are the worsening of Mexico's economy outlook, the deepening of the political and economic crisis in Venezuela, and Argentina's recession. A slump in foreign investment in Mexico will see that country's economy grow 2.1 in 2019 and 2.2 percent in 2020: four and five decimals respectively less than the IMF's previous forecast.